It has been a gentle start to spring. We've had HOT days, but the nights are still cool and a few showers and storms have kept the grass green (only just!). Just for a change, we've been eating a bit of pork and lamb that we've bought from friends, so not just beef! Somehow we found some time to mow the perennial pasture and let the cows in to trim it. I was starting to feel uncomfortable about the long dead grass near the house, both the fire-risk and the damage to the pasture of over-resting it. 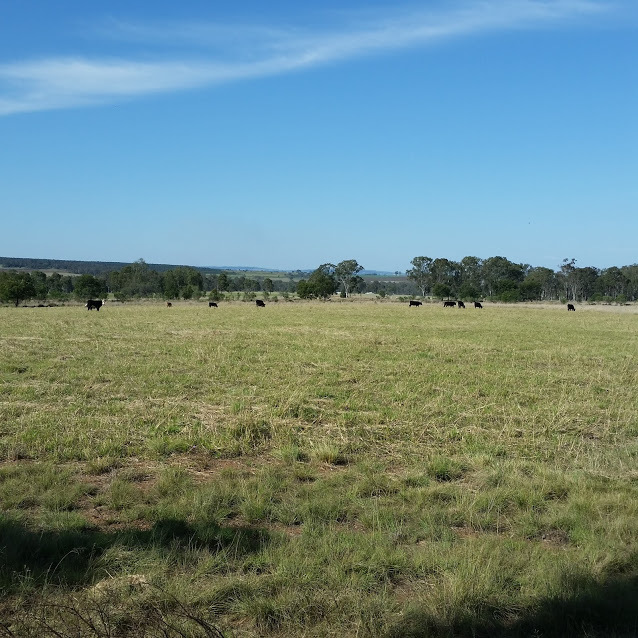 Now we just have to judge the right time to get the cattle out of that paddock, and find the right time to plant the rest of the grass seed! I am locked in a battle of wits with a certain hen who has found a way to get into my garden and scratch up all the mulch. Every time I think I've won, I find her in there again. At least she doesn't do too much damage by herself. And this photo is proof that chickens eat grass. Actually they LOVE grass and that's what makes our homegrown free-range eggs taste so good! Here are our curious cows and calves checking us out while we have lunch near their paddock. We really need to get them in the yards and castrate the bull calves and put in some fly eartags before summer. We have so many bees we can't keep up with boxes for them! And even though I want to sell some nucs, its actually difficult to organise the timing before the hive gets too strong and needs a bigger box. The other day I was sitting outside and heard a growing buzz, and checked the hives to find one of the larger boxes swarming! They landed in a tree branch, luckily quite low, and we were able to catch them in another box. We also harvested 20 kg of honey from our older hives, its tastes wonderful and I'm selling it in 500 g and 1 kg jars. I've started to get some summer plants going. Beans and capsicums and tomatoes. A pumpkin has sprouted from the compost. There are lots of silverbeet and kale still growing. I really need some zucchini or tromboncino. I've spotted a choko vine starting too. And there are lots of blackberry flowers this year, is it the rain or the bees encouraging the flowers? I've put photos of the flowers in the garden on instagram and facebook if you want to see more. We finished all the window and door trim with the help of Pete's parents, just in time for the new ironbark floors to be installed. And then we had one week off work and my parents came to stay for another painting blitz. This time we tackled the veranda and finished the posts and handrails, its looks so much nicer without the red bits! I also painted the bathroom ceiling and walls, but I'll wait until the electrician has put the lights in before I share the finished product. We still need to put up the front window awning and the gable decoration, it looks very plain at the moment! And the gutters will be brown, not blue. We are currently negotiating with a cabinet maker, but he probably won't be able to install the kitchen until early next year. I am completely worn out from all the decisions about bench tops, cupboard colours and heights, nobs, drawer runners, kickboards, waterfall bench ends, dishdrawers and shelf spacings! I fear that I will end up regretting some of the rushed decisions, but I also don't want to spend too much time deliberating on each detail. Anyway, the new floors will not be polished until the kitchen is installed, so I'd better make up my mind. The yield of a system is theoretically unlimited (or only limited by the imagination and information of the designer). This works as soon as we stop thinking about monocultures and start stacking functions and production methods (such as Joel Salatin's Polyface farm). Sure, you can't just plant more of one crop and expect more yield, or try to fit in more of the same animals, but if you think more broadly about potential yields, you can find more opportunities. For example, we now have bees on our property, and the trees that many farmers see as a waste of space (that we already valued for timber, firewood, shade and fertility) are now a source of nectar for our bees so that we can produce honey, beeswax and more bees to sell. Suddenly we have a new yield based on a resource that was already on our property. 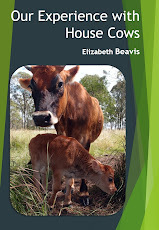 Another example is adding poultry or small animals to an orchard operation, or in combination with mob-stocking of cattle, using the same land for more than one yield. 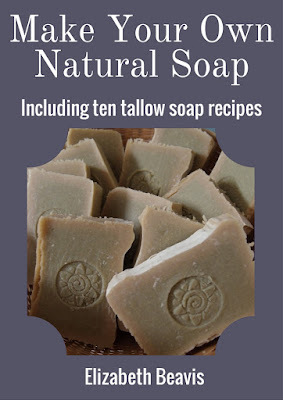 Converting a waste product into a yield, by making soap from tallow or compost from food waste, is yet another yield. If the limit is imagination and information, then the best way to improve yield is to research, talk to other farmers locally and globally, and just keep observing, looking for patterns in nature and in society, thinking of things that people need that you can provide. I wanted to remind you to get soap and salves orders in before Christmas (guess what I'll be giving everyone for Christmas! Soap!). If you are looking for gifts, the shaving soap in a tin with a nice shaving brush is a good one for men, and the four pack of nice soaps, or the muscle salve (similar to tiger balm), for the ladies. (See my shop below, or follow this link). 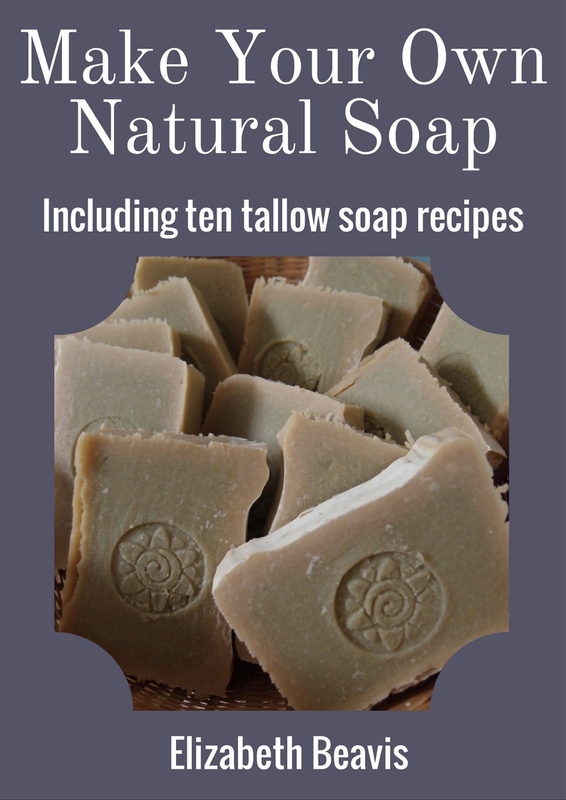 And I'm working on another ebook, this time all my tallow soap recipes and some info about making tallow soap. It will be available soon, I've written nearly 40 pages, I just need to double-check that all the recipes work perfectly. How was your October? What are you up to in November? Great to have a cuppa and a good catch up Liz! I love Joel, my DH went to one of his workshops when he was in the barossa a couple of years ago - sadly we didnt have the funds for both of us to go as I would have loved it. His Philosophes and story are just so inspiring. The cottage sounds like its comming along just wonderfully! Your home is looking amazing Liz, with all the hard work (and having parents to stay) starting to pay off. Another fan of Joel Salatin here, have read most of his books and was lucky to win a day with him at Clare (with 200 other people) but did manage some conversation with him as he was seated next to us. His humble manner & determined, knowledgeable personality had us all eating out of his hand. I even got a photo with him....lol. Your soap making book will be a winner I'm sure, and am recommending it to some of my young friends who are starting out on this simple living path. So good to hear you got some honey. It's been so wet and cold here, all the honey they had in the hives got eaten when they couldn't get out to forage. Hoping for some of this warmer weather to stick around so we can make the most of the spring flow. Everything is coming along nicely on your property. All the hard work is paying off. There are infinite possibilities with yield on a property, but it is finding the time to contemplate then implement, which is probably the most challenging for us. A quick question about castrating your calves. What is your approach? From my high school Ag lessons, there were two ways - rings which cause them to drop off after a few days, or surgical removal without anaesthetic. Which method have you guys adopted, and why does that work best for you? Your comment about stacking functions makes so much sense to me now that I've read a few permaculture books. It seems like it should be obvious, but it's one of those things people really need to have pointed out. We could be doing so much more with what we have, if only we thought about it.